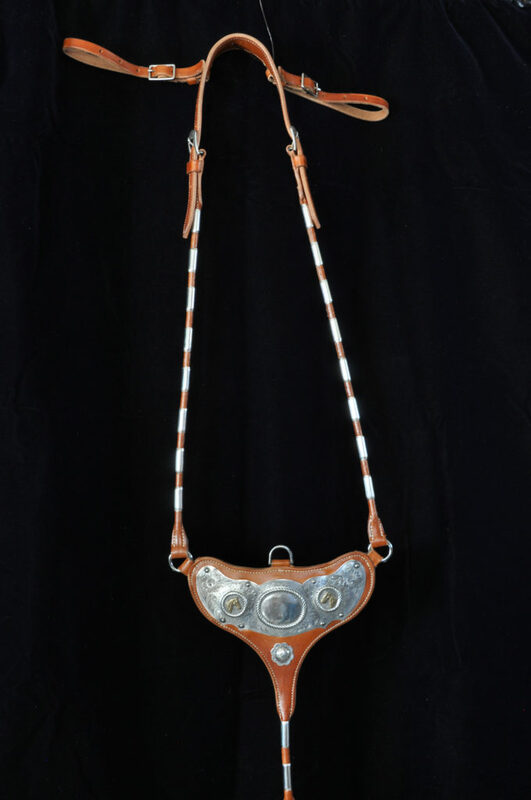 This Standing Martingale was originally made by the Olsen-Nolte saddlery San Francisco, California post World War II. The owner sent the parts to me and I totally rebuilt it. It has the large center plate and rolled round sides, with sterling silver ferrules. We can build one just like this one or with any changes you would like. Made with tan bridle leather, but can be chestnut, dark brown, or black.